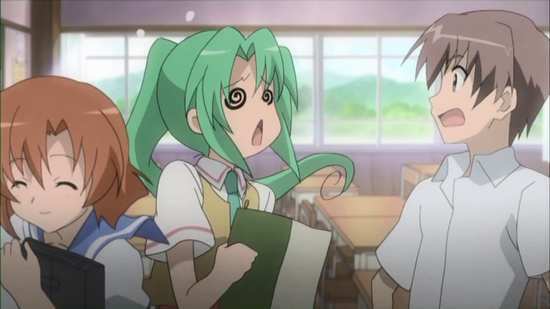 Psychological horror isn’t a genre I gravitate towards in any medium, and while I gave the Higurashi manga a try, I wasn’t overly impressed. But this is a long anticipated fan favourite, and it was a big deal when it finally made it to the UK. 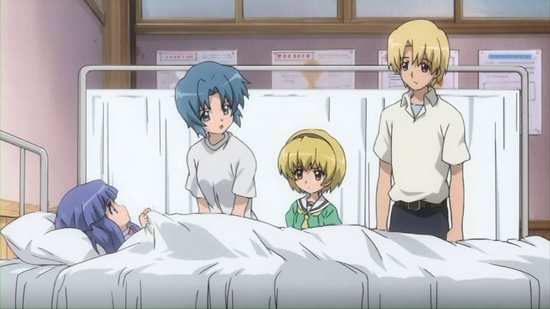 I didn’t know how I was going to get through three seasons of it, but in the end, Higurashi – When They Cry, and its Kai sequel series turned out to be quite watchable, buoyed by a story that proved to be compulsive viewing. 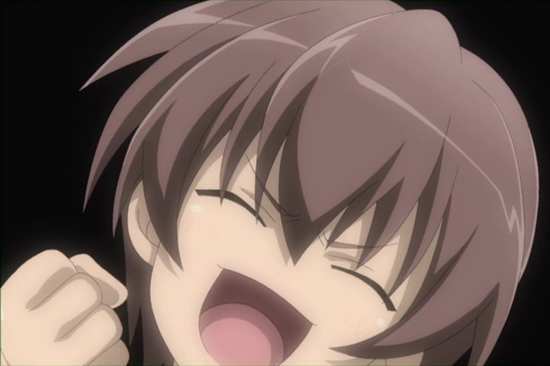 The thing is that Kai really does complete the Higurashi story, which makes the existence of a third series, this Rei release a bit of a head scratcher. In the end when the review copy showed up, it was only one disc, and it turns out that Higurashi – When They Cry Rei is a collection of OVA episodes, not a series at all. You may be expecting more psychological horror at this point, but if I know my OVAs, we’ll be getting swimsuits. But who knows, maybe Rei will combine the two. Screaming Bikinis!! Higurashi: When They Cry told the story of Keiichi Maebara, a boy from Tokyo who moves to a small isolated village called Hinamizawa in 1983. The population is small, and school consists of just one classroom with children of all ages learning together. 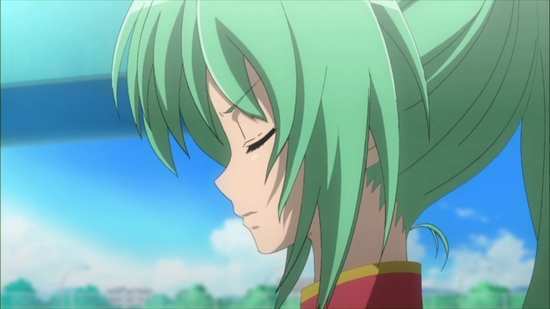 But Keiichi quickly makes a circle of friends, local girls Mion Sonozaki, Satoko Hojo, and Rika Furude, as well as a girl named Rena Ryugu, who moved to the village the previous year. Most small communities have their secrets, but there is something seriously dark going on in Hinamizawa. Every year at the Watanagashi festival, someone goes missing, and someone is murdered, and as Keiichi investigates, he soon realises that his new friends aren’t who they seem to be. 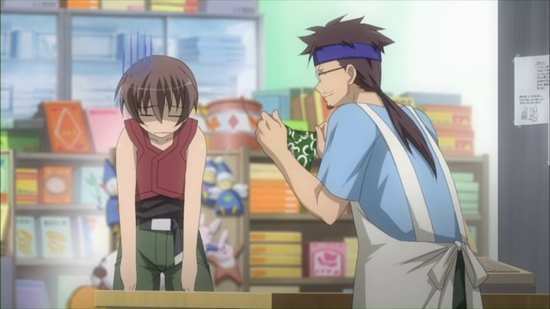 The Rei collection offers five OVA episodes that allow for a little fun with the characters, as well as a one-off arc that offers the kind of what-if that the series couldn’t. 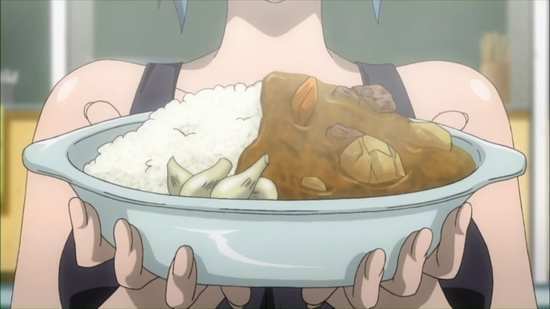 Higurashi – When They Cry Rei gets a 1.78:1 anamorphic NTSC transfer on this DVD disc, and for the OVAs, the studio finally push the boat out, comparatively speaking. You may recall the low production values, and lacklustre animation that the two TV series got, coupled with a low resolution look that suggested the show had even been scaled up to SD, The OVAs maintain the character artwork and the world design, but everything is crisper, sharper, and with a lot more detail, while the animation steps up a notch in clarity and energy. This is how the series ought to have looked on DVD to begin with. Once more, you only get a DD 2.0 Stereo Japanese track, with subtitles locked during playback. The dialogue is clear, and the show gets decent enough stereo separation to enhance the mood and drive the drama of the story. The subtitles are accurately timed and are free of typos. The disc presents its content with a static menu and a jacket picture and each episode is followed by translated credits. The extras on the disc comprise the textless credits, and trailers for Parasyte – The Maxim - , Akame ga Kill!, Cross Ange: Rondo of Angel and Dragon, and The Fruit of Grisaia. 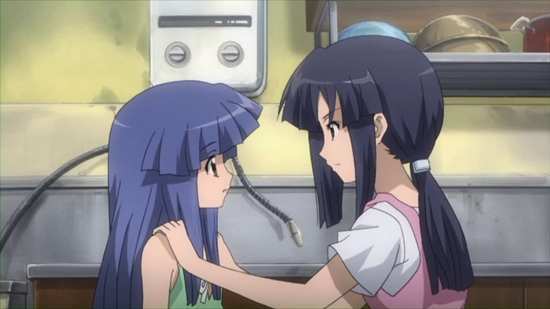 In the end, I really wanted to like Higurashi: When They Cry – Rei, as it turned out that it had found a really useful story to tell, one which actually added to the first two series, and made sense in terms of the characters. Naturally there will be SPOILERS in the rest of the review, so be warned. Of course you can’t get away from the usual OVA nonsense, and the juicy bit of the release is sandwiched between two utterly disposable and inconsequential episodes. 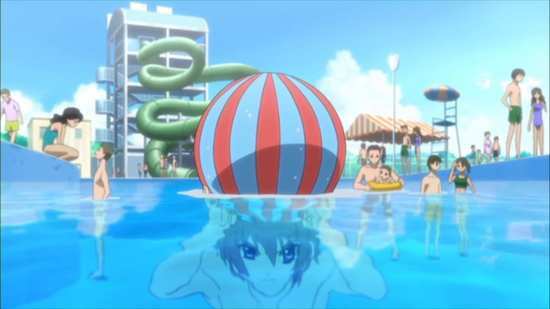 Yes, there is a swimsuit episode, with Public Embarrassment seeing Keiichi and the other going to their local pool. Keiichi has gotten a pair of magical trunks that he thinks will increase his popularity with the ladies if he doesn’t remove them for a few hours. The girls on the other hand have learned that if he doesn’t remove them, he’ll actually turn into a narcissist. It turns into a full on de-pantsing battle. 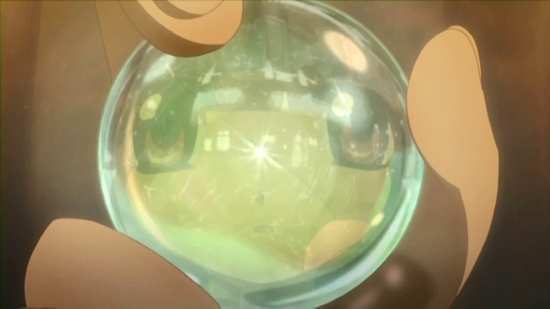 The final episode has a couple of cursed beads fall to earth, with one accidentally swallowed by Rena. She’s fated to fall in love with whoever picks up the other bead, and it’s a race against time to find that bead and go through the ritual to break the curse. The problem is that all the wrong people wind up possessing the other bead, and a fair bit of age inappropriate lust occurs. The interesting story is in the middle three episode arc. 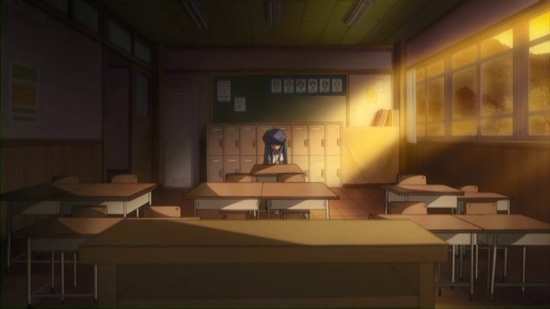 The Higurashi series and its sequel saw Rika living through the summer of 1983 over and over again, experiencing the insanity in the town of Hinamizawa that saw her friends suffering from psychotic breaks, murders occurring, and always ending with her death, and the destruction of the village. She’d be reborn only to suffer the same thing again with slight variations. In the end she managed to break out of the loop and finally resume her life, but naturally the experience would have affected her and altered her thinking. Certainly at the start of this story, she’s more cavalier with her life and her safety. But this time she finds herself in a different world, one where there is no curse, where there was never a battle over the dam, and while the town may be declining, the people leaving before the valley is inundated, all of her friends are living normal, happy lives, where no one died. She has to decide between staying in this world and trying to get back to her world, and she learns that this time, the ‘cycle’ will repeat only if she sacrifices someone else instead of herself. It’s a great story development that suggests quite rightly that Rika has to learn to shed her previous experience, to appreciate life and to live in the moment. The problem is in the execution, which after a really strong opening half, setting up the story, is resolved instead by what can best be described as a series of moralistic lectures from all of the characters. What drama remains after being diminished by this is lost by leaving the key moment, the resolution of Rika’s dilemma off-screen. What could have been a strong and effective coda to the series is rendered dull and turgid in the execution. It’s a shame as the idea is a strong one, and unexpectedly appropriate given the conclusion of When They Cry – Kai. The bookending single episodes are the usual fan-service laden OVA nonsense, entertaining if you’re in the mood for such things, and wholly out of touch with the tone of the series. Technically Rei is as good as the series will look, and it’s a nice thing to have for the completist, but I can’t help but feel a little disappointed with the way it pans out.